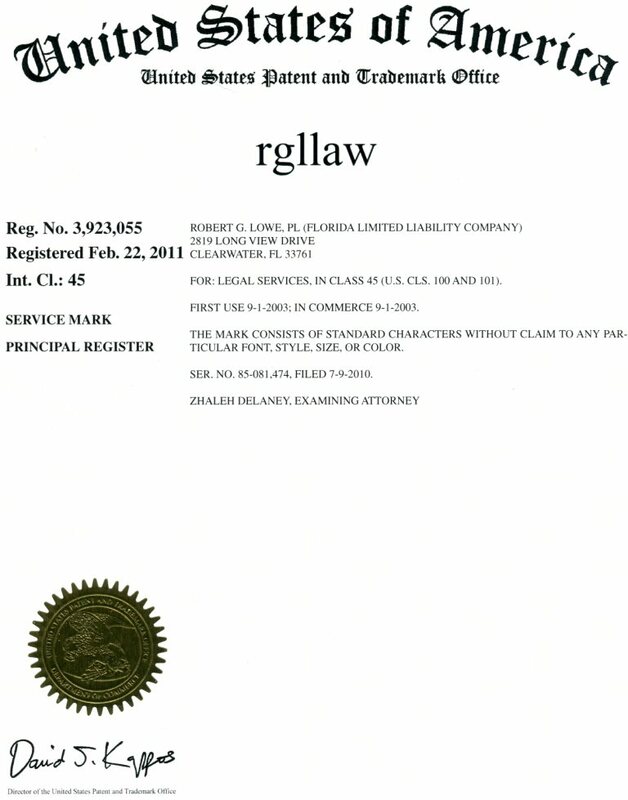 There are basically two standard contracts in use for the sale and purchase of real estate in Florida. One is recommended by Florida Realtors and referred to as the FloridaRealtors Contract and the second is recommended jointly by Florida Realtors and the Florida Bar and is referred to as the FloridaRealtors/FloridaBar Contract. Of the two, the FloridaRealtors/FloridaBar tends to be more neutral or equally fair to both parties. I also recommend it because the Florida BAR Association has a standing committee dedicated to reviewing the form and recommending changes as needed to be consistent with statute updates and case law. "As Is" contracts or addenda typically delete the seller's obligation to make repairs for items not in working condition and for damage caused by wood destroying organisms. In return, the terms and conditions usually require the buyer to perform any inspections or pursue whatever due diligence they deem necessary to fully understand the condition of the property and to commit to purchasing the property. In Florida, "As Is" contracts or addenda DO NOT remove any legal obligations of the seller to disclose. In fact the leading case of Johnson v. Davis decided by the Supreme Court of Florida imposes an affirmative duty on sellers to disclose "... facts materially affecting the value of the property which are not readily observable and are not known to the buyer." An "As Is" purchase can be obtained by using the FloridaRealtors FloridaBar AS IS Contract or by adding an addendum or rider to the standard FloridaRealtors/FloridaBar Contract. Both sellers and buyers should closely scrutinize any addenda, riders or additional terms added to their contract. The Comprehensive Rider to the FloridaRealtors/FloridaBar Contract addresses most additional circumstances such as contingencies for the buyers to sell their home or contract review by an attorney, or specialized financing options obtained through the Veterans Administration (VA) of the Federal Housing Administration (FHA) to name a few. The terms and conditions of the Comprehensive Rider are fairly uniform and reasonably fair. Beware of any additional terms that are not part of the contract or comprehensive rider, they are sometimes written or may contain language that is specifically biased towards one party or the other. Take your time when considering any additional terms and make sure that everyone agrees to their meaning; what may seem obvious could potentially hold very different meanings to people from different backgrounds or people who have different life experiences. It is also important to consider the impact of additional terms on the rest of the contract, since they will be legally construed to trump or override regular terms that are normally part of the contract. Attorneys will sometimes draft contracts specifically for an individual client or property purchase. If presented with a drafted contract, beware. Sometimes drafted contracts will contain special terms, conditions or considerations that are specifically biased in favor of the attorney's client. If you are presented with a drafted contract, I would heartily recommend that you have it reviewed by an attorney to make sure your rights are equally represented and protected. Avoid relying on the attorney who drafted the contract as they have an obligation to their original client and NOT you. Avoid using generic contracts, out of state contracts or something downloaded from the Internet, unless it is a Florida standard Contract. Any other contract may contain language that is unpredictable and / or possibly unenforceable under Florida law. Although there are exceptions, to be enforceable, a contract for the sale and purchase of real estate must be in writing. It must adequately describe the property and should include both the legal description and street address to be safe. You can find the legal description in the tax records for Pinellas, Pasco and Hillsborough counties. A contract must also specify a purchase price, a closing date and include any special terms and conditions. Never rely on an oral agreement or understanding; if it's a concern put it in writing. Both parties must sign and date the contract and initial all changes. A good faith or earnest money escrow deposit is not an absolute, but without one, your offer will probably not be accepted. A offer becomes a contract and binding after both parties have signed, initialed all changes and delivered the offer back to the offerer or the last party who made a modification or counter-offer. Remember, any change or modification to an offer constitutes a counter-offer and terminates an offer and releases the offerer from any and all obligations to perform or honor subsequent, similar counter-offers. The parties must also consider whether to incorporate various contingencies in their contract to protect themselves from breaching the contract. Three of the most common contingencies are based upon the buyer obtaining financing for the purchase, on the sale and closing of the buyer's current home and on the seller locating and closing on a replacement home. A well drafted financing contingency should protect the buyers in case they are unable to obtain financing at the terms specified in the contingency or if the home does not appraise for the agreed upon purchase price and the buyers are unable to make up the difference between the agreed upon purchase price and the appraised value. Financing contingencies are frequently incorporated into contracts and are usually acceptable when accompanied with the buyers promise to obtain a mortgage commitment letter and an appraisal in a timely fashion. A contingency on the sale and closing of a buyer's current home protects the buyer from owning two homes, the idea being that if the buyer's current home does not sell and close, the buyer is protected from breach for not closing on the new home. This is exactly why the contingency is disfavored and not so widely accepted, most sellers want some finality and do not want to be surprised by a deal that falls apart at the last minute. Similarly, the seller's contingency to locate and close on a replacement home is also disfavored for the similar reasons. Where applicable, the seller should deliver each of these different types of documents to the buyer. Failure to deliver the documents to the buyer may be sufficient grounds for the buyer to cancel the contract or constitute breach of contract. Along with the association documents you should also receive the appropriate addendum that identifies any fees required to be paid, how often they are required to be paid and information about any known or published assessments. Note: Assessments under discussion by the managing body, but that have not been officially voted on and adopted in accordance with the rules, regulations and / or bylaws typically are not considered assessments and are not, therefore, required to be disclosed. If the subject property was built prior to 1978 it may have been painted with lead based paint. Federal law requires the seller provide the buyer with a copy of the lead based paint hazards pamphlet entitled Protect Your Family From Lead In Your Home. Florida law requires sellers to provide a copy of the Florida Building Energy Rating Guide to buyers. The guide provides information on energy costs associated with your home. Buyers needs to start right away to apply to lenders. Most contingencies require the buyer to make applications within in a couple of business days. Note that too many applications may adversely affect your credit rating. Lenders are required by the Real Estate Settlement Procedures Act (RESPA) to provide a good faith estimate of closing costs within three days of taking your application. Use the estimate to compare different lender's offers when deciding which lender you want to use and also refer to it at closing to insure that the lender did not add any extra junk fees. Buyers should always consider ordering home, termite inspections, radon and mold inspections and should definitely heed the advice of any inspector that suggests a specific item or issue should be reviewed by a licensed professional specializing in roofs, plumbing, electrical systems, heating and air conditioning systems, pools and civil engineers for sink holes or other construction related items. Results of home inspections may need to be conveyed or noticed provided to the seller so that repairs can be made in accordance with the contracts requirements; failure to convey the results to the seller may constitute a wavier of any repairs and acceptance of the property "As Is." When considering which home inspector to hire look for members of Association Society of Home Inspectors and Florida Association of Building Inspectors. You might also want to check Angie's List and your local Better Business Bureau for recommendations. The Florida Realtors Florida Bar Contract imposes a requirement for the seller to make an affirmative statement about building permits. This is an especially good requirement since so many unqualified people got into rehabbing properties and made unapproved electrical or plumbing changes. The form also includes the option a repair limit for closing out open permits and or obtaining the necessary permits for work that was not properly permitted. If the property you are looking at has had major renovations, ask the seller who did the work. Ask about the qualifications of whoever did the work, including the seller and or any contractors. When you have the property inspected, make sure the inspector you hires knows of your concerns and expressly ask them to review the workmanship. All or nearly all lenders will require a lender's title insurance policy with a Florida Form 9 Endorsement covering Restrictions, Encroachments & Minerals to protect their loans. This will require a new survey to insure there are no encroachments onto the subject property or improvements that may extend into set-backs, right-of-ways or adjacent properties. Generally in northern Florida the seller is required to provide evidence of good and marketable title. This is usually accomplished by providing a title commitment to the buyer a couple of days prior to closing and purchasing an owner's title policy for the buyer at closing. Upon receiving the title commitment, the buyer must notify the seller in writing of any title defects that need to be addressed, failure to do so may constitute a waiver of the defects and acceptance of a title policy encompassing those defects. Here are a couple of items that you may want to consider. Hurricanes happen. Pinellas County provides very detailed maps indicating flood zones insurance rate maps and evacuation zone information. Follow this link to the Pinellas County Geographic Information Systems web site, select the appropriate bandwidth option for your connection, select the information you want to evaluate and enter your address of interest. Almost every home experiences a little subsidence or settling. Unfortunately some homes experience major problems associated with sink holes. Contact the local county property appraiser's office for information about particular homes and neighborhoods. The Florida Geological Survey office of the Florida Department of Environmental Protection is a great resource for information on sinkholes and other environmental issues affecting Floridians. Because insurance companies typically stop writing policies during hurricane season anytime there is a named storm approaching Florida, buyers should think about purchasing homeowner's insurance as soon as possible after you have a ratified contract. Florida's Department of Financial Services provides this excellent toolkit for purchasing homeowners insurance and also publishes historical data on premium rates charged by homeowners insurance providers. Florida Statute Section 627.4133 requires insurance company's to provide written notice prior to policy cancellation for non-payment of premiums. If you believe that your insurer has failed to comply with the notice requirements contained in the statute you may initiate a complaint to the Florida Department of Financial Services using their Civil Remedy Notice of Insurer Violation form. Complete the form according to the instructions provided in the form. In Box 5 indicate statute number 627.4133 and describe the required notice period that the insurer failed to provide. In Pinellas County, even though you move into a community with excellent schools right next door your children may not attend those neighborhood schools. Follow this link for more information about the Pinellas County School Choice Program. If the buyer is or will be a Florida resident and the purchased property will be the buyer's principal residence then sometime after closing and before March 1 of the following year the buyer needs to register the property as his homestead at the local property appraiser's office. Mostly the buyer will need valid photo identification and the recorded deed to the property, but calling ahead is always wise. Homestead registration has many benefits including a $25,000.00 exemption deducted from the assessed value and application of the Save Our Homes Tax cap which limits annual increases to assessed value to three percent or the amount of the Consumer Price Index, whichever is lower. Since Florida County taxes are paid in arrears, the seller typically gives a credit to the buyer for a pro rata amount equal their occupancy of the property, from the beginning of the year until the day of closing. As the Grantor, the seller typically pays for recording the deed and the county documentary stamps based upon the contract sales price. The onus is on the seller to provide a good, clean marketable title. Although who pays varies throughout the state and is negotiable, locally the typically seller pays for the title search, abstract, exam and the owner's title insurance policy for the buyer. These fees are agreed upon in the sellers listing agreement with their real estate agent, if any. Broker compensations vary widely and may include other fees or costs as agreed to and included in the listing agreement. Settlement costs for the seller are fairly standard due to the competitive nature of the title industry and the fact that minimum title insurance rates for both the owner's and lender's title insurance policy are promulgated by Florida Statute. They can be more, but they can't be less. Also, if you owned your home less than three years as of the closing date for the resale of the property and obtained a valid owner's policy when you purchased the property, then you are entitled to a re-issue discount. Be sure to ask! If required by the lender the buyer may have to provide funds to establish an escrow account equal to an amount necessary to be able to pay hazard insurance and county property taxes. If applicable, an assortment of fees and costs, sometimes collectively and disparagingly called junk fees, incurred by the lender, mortgage broker and / or bank that are charged to the mortgagor, if the purchase is financed. If applicable, buyers will be required to pay for the recording of the mortgage, documentary stamps based upon the amount of the mortgage and an intangible tax which is also based upon the amount of the mortgage. Sometimes buyers will agree to pay their real estate agent a separate fee in addition to or in lieu of any compensation offered by the seller. Lenders typically require buyers to purchase a lender's title insurance policy as a condition of obtaining the loan, including secondary loans. The buyer may also be responsible for a closing or settlement fee.